How to Get Rid of Junk Mail and Telemarketing Calls for Good. As a child, I used to get so excited when I received something in the mail. Maybe it was because the only time I would get mail was either around my birthday or Christmas and it usually contained a check from my grandmother. Now, as an adult, my relationship with mail is quite the opposite. The only correspondence I receive is either bills or junk, neither of which I look forward to receiving. While there is not much anyone can do to eliminate their bills, there are a few things you can do to get rid of junk mail. In fact, scams and spam seem to be on the rise via most methods of communication these days. Taking steps to declutter your mailbox and protect your phone number(s) can greatly minimize your frustration and reduce your vulnerability to fraud and identity theft. The first step toward eliminating a large portion of one’s junk mail is to participate in the DMAchoice program from the Data & Marketing Association (DMA). This program was created to give you control over what mail you receive and help the DMA’s more than 3,600 members avoid mailing to uninterested customers. The categories of mail you may opt out of receiving include credit card offers, catalogs, magazine offers (such as subscription offers, newsletters, periodicals and other promotional mailings), donation requests, bank offers, retail promotions and more. You can choose to opt out of specific direct mail categories like the ones above or all of them. Once registered, the DMA forwards your preferences to the appropriate members. To register, visit www.dmachoice.org and enter your information. There is a $2 fee to register online, but this registration lasts for 10 years. Caregivers also have the option to register on behalf of their care recipients to prevent them from receiving junk mail as well. Just visit the DMA website’s Do Not Contact for Caretakers page and follow the instructions. There is no cost for removing a vulnerable senior from the DMA’s databases. In the same way that DMAchoice works with member organizations to streamline marketing and promote consumer satisfaction, the OptOutPrescreen program works directly with the credit bureaus Experian, Equifax, TransUnion and Innovis to allow consumers to opt out of pre-approved and pre-screened credit and insurance offers. To register for the program, visit OptOutPrescreen.com or call 888-567-8688. If you register online or by telephone, your registration is valid for five years. To opt out permanently, you will need to print, sign and mail back a permanent opt out election form. This form will be emailed to you when you register online or be mailed to you if you register by telephone. In order to opt out of generic mail (the type that says “Dear Occupant” or “Current Resident”), you must directly contact the organization that sent you the solicitation. If you’d like to send a written request, provide your name and mailing address and state clearly that you wish to opt out from receiving future mail. While junk mail is a nuisance that can literally pile up, unsolicited telephone calls can be equally as annoying but even more dangerous. Scammers will often call pretending to be from a legitimate organization in an attempt to get you to send them money or share your sensitive financial or identifying information. One common scam is where the caller pretends to be from the IRS. He or she states that you owe money and if you do not pay within a certain timeframe you will be arrested. They use fear and intimidation to get the victim to do what they want. But how can you tell which calls are legitimate and which are scams? It is often difficult to make that determination based on the call alone. One way to reduce, if not eliminate, legitimate solicitation calls is to register both your home and cell phone numbers on the Federal Trade Commission’s national Do Not Call Registry. Once you have registered, solicitors are prohibited from contacting you. However, this does not apply to organizations with which you currently conduct business (known as established business relationships or “ERBs”) or tax-exempt organizations. You will still receive calls from entities you have given permission to contact you, like your bank, charities soliciting donations and—everyone’s favorite—political calls. To register for this free service, call 1-888-382-1222 from the telephone number you wish to register. You can also register online at www.donotcall.gov. Keep in mind that this registration does not expire, so there is no need to ever re-register. Telemarketers have 31 days from your registration date to remove your information from their call list and cease contact. If you receive a call after this 31-day period, notify the caller that you are on the national Do Not Call Registry and ask to be removed from their contact list. If they continue to call you, then you can report them online at the FTC’s complaint website. By law, organizations that are not tax exempt must remove a consumer’s contact information from their call list upon request. Also, don’t be fooled by what appears on your caller ID. Caller ID can easily be manipulated using free online tools. This process is called “spoofing.” I could call you and have the caller ID read “IRS” or “police station.” It really is just that simple. If you are in doubt when you receive an unsolicited telephone call, simply hang up the phone. If you get a call from someone claiming to be from your bank or credit card company, hang up and call the official telephone number printed on your bank statement or the number printed on the back of your credit card. If they claim to be from the IRS, you can visit the IRS website (www.irs.gov), and call them at the telephone number listed there. You get the idea. It’s always better to be safe than sorry. If you receive spam-type text messages on your cell phone, you can typically report it to your carrier by forwarding the text message to 7726. This works for AT&T, T-Mobile, Verizon, Sprint and Bell customers. They will then add this to their identified spam messages list and attempt to block the sending number. This process is similar to identifying an unsolicited email as spam or junk mail. Once you have labeled it as such, your email provider will block future emails from that sender from getting into your inbox. The same handling rules for spam emails apply for text messages as well. Don’t reply to the sender, click on any links in the messages or provide any personal information. Legitimate businesses will not ask for your account or login information via text. The next safest thing after reporting the message to your carrier is to delete it immediately. Whether you’ve battled the bulge for what seems like forever — or just since your last birthday — it’s true that age can have a lot to do with the number on the scale. As with crow’s-feet and varicose veins, you’re simply more susceptible to gaining weight once you hit the big 5-0. And it’s not your imagination: It also becomes increasingly more challenging to shed those pounds once they’ve settled around your hips. Most telephone scammers rely on talk, getting you to pick up the phone so they can give their impersonations of IRS agents, noble fundraisers, tech-support saviors or grandkids in need. But with a new breed of telephone fraudsters, sometimes you don’t even need to say “Hello” to get ripped off. Here’s how some of these crooks may target you. Reprinted from AARP Fraud Network. 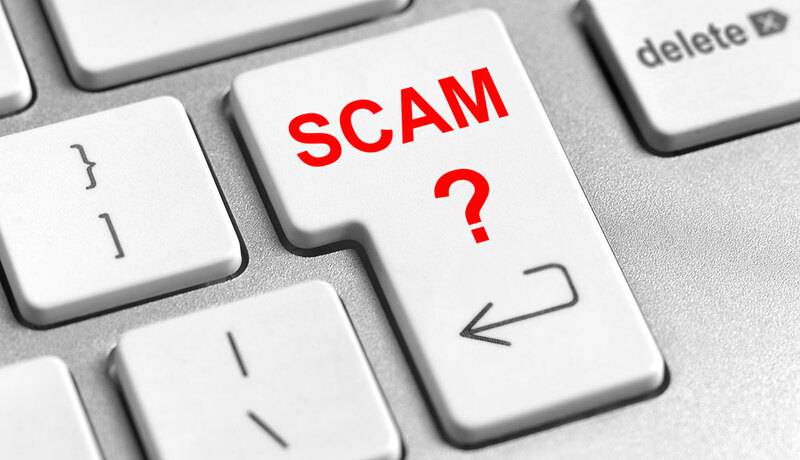 Scammers are now going to the federal Social Security website and setting up a “my Social Security” account of citizens that are of retirement age. They hijack their accounts by setting up the accounts before the Social Security number owner does, and then they apply for funds. The scammers get a lump sum money of back pay out and the money is transferred to an account the scammers set up and then they take that money and immediately put it on gift cards. Beat scammers to the punch by setting up your own “my Social Security” account today at www.ssa.gov/myaccount. The Internal Revenue Service released its annual list of the top 12 scams, which inludes frauds committed by con artists and taxpayers alike. As tax season reaches its peak, the Internal Revenue Service (IRS) has issued its annual list of “Dirty Dozen” tax scams. Some of the frauds on the government’s list are examples of how taxpayers are being preyed upon, such as email phishing attempts or identity theft. 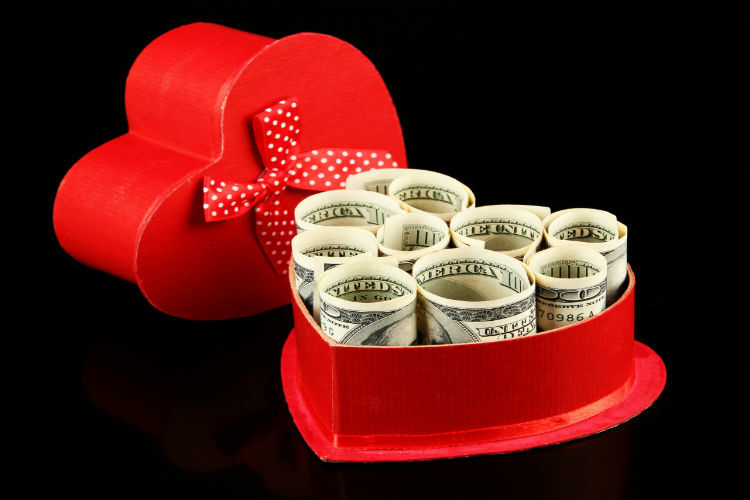 Others are ways Americans are cheating on their returns, such as inflating refund claims or padding deductions. Although scamming is most popular as tax day — April 17 this year — approaches, the IRS advises taxpayers to be on the lookout throughout the year. Phishing: You should watch for potential fake emails or websites seeking personal information. The IRS will never send you an email about a bill or tax refund. Don’t click on a message claiming to be from the IRS. Phone Scams: Scammers who impersonate IRS agents are an ongoing threat. Some con artists who use this ploy have threatened taxpayers with deportation, arrest and revocation of their licenses if they fail to follow the scammers’ instructions. Identity Theft: You should guard against possible identity theft. While the IRS has worked to better detect tax-return related identity theft, it reminds taxpayers that they can help in preventing this crime by protecting their personal data. Tax-Return Preparer Fraud: Watch out for unscrupulous tax-return preparers. The vast majority of tax professionals are honest. But some dishonest preparers scam clients, perpetuating refund fraud, identity theft and other scams that hurt taxpayers. Fake Charities: Groups posing as charitable organizations solicit donations. Some of these groups use names similar to nationally known organizations to deceive consumers. The status of charities can be checked using tools found at IRS.gov. Inflated Refund Claims: Taxpayers should be wary of anyone promising inflated refunds. If a tax preparer asks you to sign a blank return, promises you a big refund before looking at your records, or charges fees based on a percentage of your refund, they are probably up to no good. Excessive Claims for Business Credits: Don’t improperly claim the fuel tax credit. Taxpayers also should avoid misuse of the research credit. The IRS tends to closely scrutinize the use of these credits. Padding Deductions: You should avoid the temptation to illegally inflate deductions like charitable gifts. Falsifying Income to Claim Credits: Con artists may persuade unsuspecting taxpayers to invent income to wrongly qualify for tax credits, like the Earned Income Tax Credit. Frivolous Tax Arguments: Some schemes urge taxpayers to make unreasonable and outlandish claims. Those who file a frivolous tax return face a possible penalty of $5,000. Phony Tax Shelters: The IRS says it is committed to cracking down on complex tax-avoidance schemes and the people who create and sell them. Be on the lookout for fraudsters promoting tax shelters that sound too good to be true. Offshore Tax Avoidance: It’s a bad bet to hide money and income in offshore accounts because the IRS has had lots of success in thwarting these schemes. The new shingles vaccine recommended by the Centers for Disease Control and Prevention for people 50 and older is now widely available in pharmacies and with physicians. Testing found that Shingrix, which received Food and Drug Administration approval last fall, was 97 percent effective in adults 50 to 69 and 91 percent effective in those 70 and older. Those are far better results than provided by the previous vaccine, Zostavax, which was recommended for people 60 and up. CVS announced this week that Shingrix is available in its stores nationwide, making it the latest of major chain pharmacies — including Walgreens, Duane Reed, Walmart and Albertsons — to have it. It has been available to doctors since late November, but patients should check with their own physicians to determine whether they can get the shots there. Shingrix is taken in two doses separated by two to six months. Zostavax, the previously recommended vaccine, was a one-shot dose. The CDC says even those who have received a Zostavax shot should get the new drug, as should those who have had shingles. The CDC estimates that for every 1 million people 60 to 69 years old who receive Shingrix, there will be 87,000 fewer cases of shingles, as well as 10,000 fewer cases of postherpetic neuralgia (severe pain in the location of a previous shingles rash). The vaccine is also projected to lead to 80,000 fewer cases of shingles among people 50 to 59 years old, with 5,000 fewer cases of postherpetic neuralgia. In addition to checking with individual pharmacies and physicians about the availability of the vaccine, those of eligible age should check with health insurance providers to see whether the shots are covered. Medicare Part D covers Shingrix, but Medicare Part B does not.